Michael Johnson's seven year odyssey to take a horse he knew was destined for greatness nearly failed. He spent a long time in that place where most horsemen hate to find themselves - that place with a horse who has glimmers of true brilliance, sandwiched in between long bouts of stupidity and dangerous antics. We've all experienced these horses - and many times they end up at the sale barn - unreachable, untrainable, unwanted. And we've all looked down upon folks like Michael - people who don't appear to know when to cut their losses and move on. Michael tells his story artfully - a heartfelt, honest (and sometimes unflattering) saga of his efforts to reach this difficult horse using every trick he knew from a lifetime of training horses. It's got wry humor, quotes from many revered horsemen, references to the Bible, and quotes from his horses. It's a great read that is hard to put down. And we've got just the thing for those weary farriers who are inclined to fall asleep at the end of the day with a book in their lap - Audio CD's! Michael reads his book in his delightful Oklahoma cowboy drawl - interspersed by the character voices of the horses who changed his life. 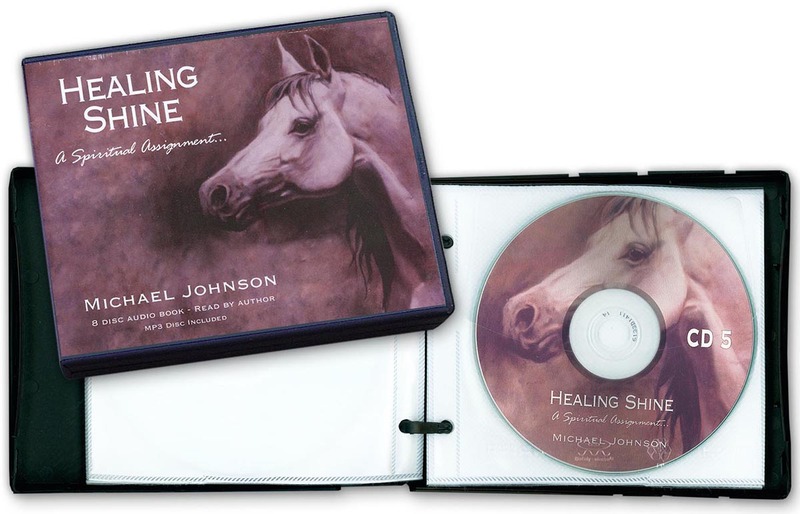 Listen to the CD's while you're on the road, perhap's Michael's story will influence your perspective on that handful of impossible horses you encounter in your appointments, those horses who's owners are oblivious to the fact that their equine charges appear to have no potential to be a safe, enjoyable partner.